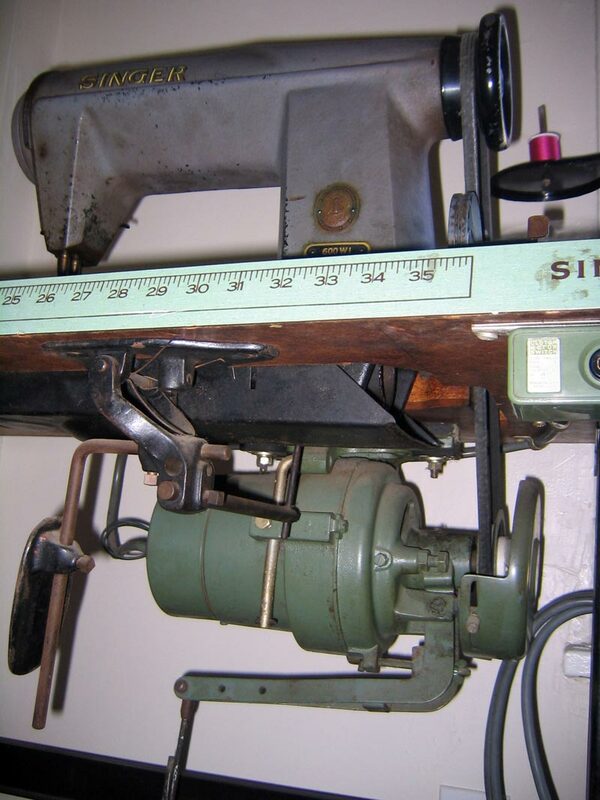 Before there was the Brother DB2-B791-015, there were a few other sewing machines, both industrial and not. Initially there was a Singer Stylist 543 home/portable machine. That machine was very dependable and to this day is revisited for odd jobs, but it lives elsewhere, so those encounters are few and far between. Also, for a brief period of time, there was an old SearsKenmore home/portable machine. 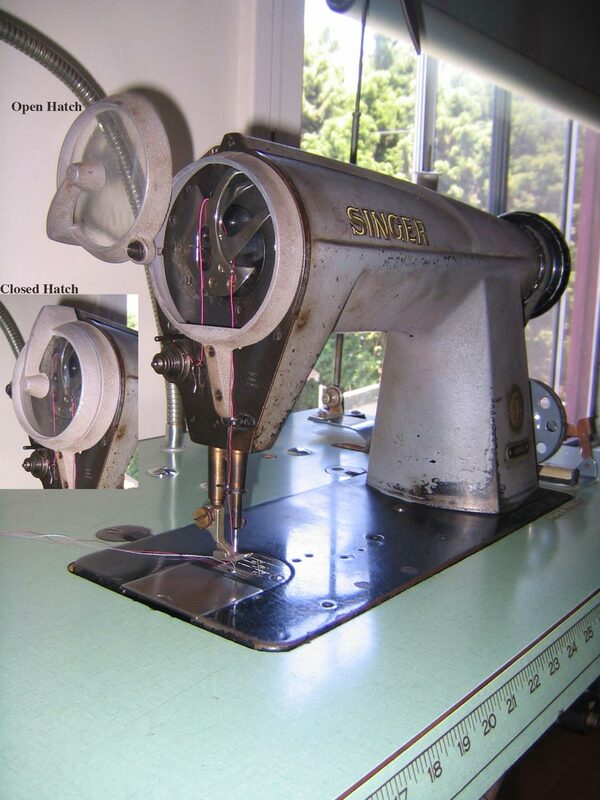 The SearsKenmore machine filled a gap of time when sewing was intermittent, and such a stitching device was needed on a project by project basis only. Then came the Singer 600WI*, this was the first industrial machine to activate what would become a more in depth look at sewing machines as multi-platform tools – capable of informing building process’ as much as anything else – from the most mundane of analog tools (pencil, hammer) to highly specific computer programs. The Singer opened up an infinitely expanding knowledge base to learn from, that would aid in structural/material investigations. However, without any hesitance, that work quickly became subject to the other side of industrial sewing, which is shear understanding of the tool itself. The Singer 600WI represented two sides of the table, one of which that had to do with design and production, and another which had to do with how the tool itself informs the design and function of something. This thicket of spiralling information is partly what lead to this site, and is what pushes and pulls the entries which are posted within these web-pages. * This industrial machine was very generously donated to the Brother DB2-B791-015 & company, before there even was Brother DB2-B791-015 & company. Thank you again and again. Just found your blog on a Google search for information on a treadle sewing machine. 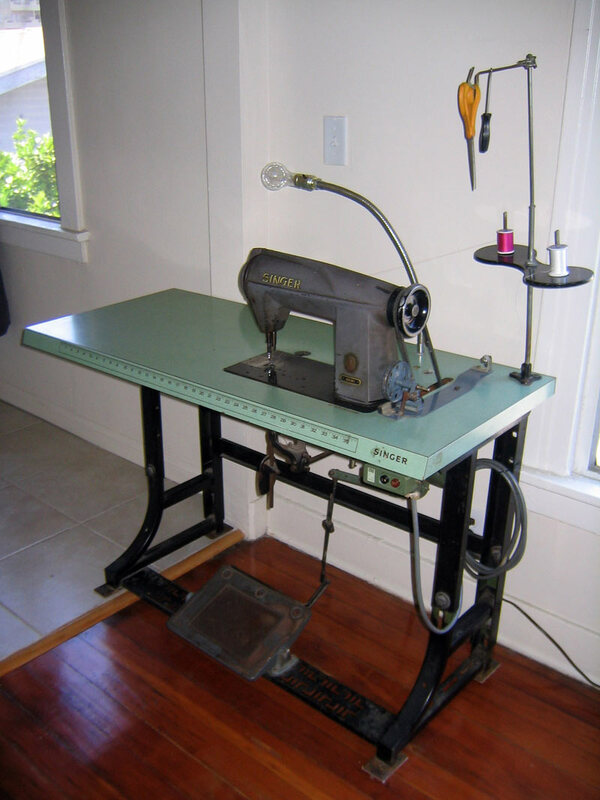 My blog deals with vintage sewing machines, both domestic and industrial and I would like your permission to post a link to your page. 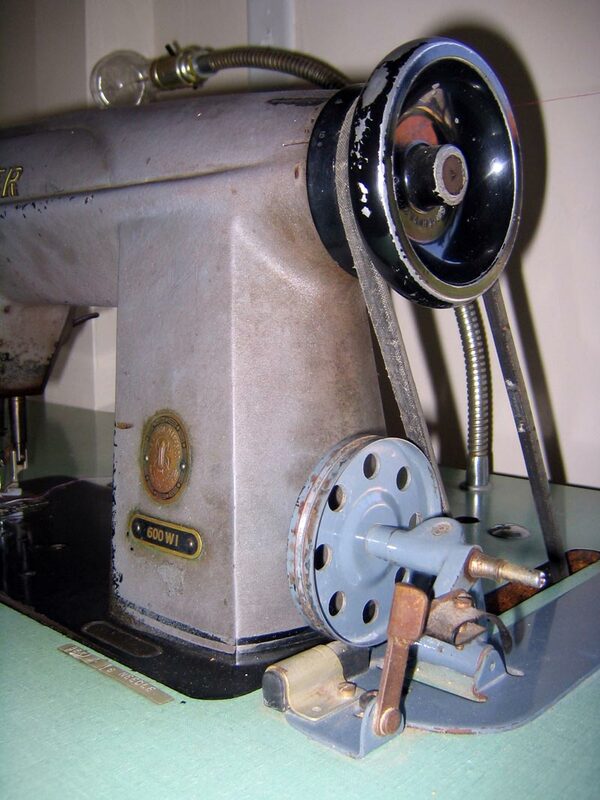 I have Singer 600WI machine that still works good, I have forgotten how to thread it , do you know anywhere i can get an operators manual or a diagram for threading it? I having a problem my needle will not go down to pick up bobbin thread. do u have a manual for trouble shotting. Well, this could be quite a lot of things. The first question is for clarification – when you say that the needle will not go down to pick up thread, do you mean that it will actually-physically not go down? – Or do you mean that it will go down, but does not pick up thread? If it is the case that the needle bar is no longer moving up and down, the first thing to do is make sure nothing is binding around the pulley and belt from the motor, that would be the easiest and simplest problem. The second thing would be to take the plate off of the machine, the one which is located above and to the left of the needlebar, and is essentially a cap on the very end of the arm. Once inside there look for any deficiencies (i.e. is anything clearly broken, or jammed, is there debris?). If nothing comes of that, it is time to look way up into the machine from underneath, this will require getting the head off and away from the oilpan. From there you will need to take a careful look for anything out of place (at this point you may be better off with a service technician). Use common sense, is there any play in the pulley wheel? Second, if the needlebar does in fact move up and down, but does not catch any thread on the uptake: the first thing you need to do is make sure you are loading the machine correctly with the thread and the bobbin. Next make sure that the bobbin and bobbin case are both complete. Then take the throat plate off of the bed of the machine and detach your feed-dog so that you can really see what’s going on and make a few revolutions of the pulley wheel to see if there are any problems. On this site there are 4 books, with images of the machine opened up, please see those for a little clearer explanation of what parts are what. Hi, I have an industrial model Singer 600 WI, which I used to successfully reupholstered seats and chairs using a good quality Vinyl with appropriate thread. Then I broke the needle going over the metal parts of a zipper for one of the pillows. When I replaced the broken needle (same brand and size as before), nothing worked right. The strands of my thread always gets unwinded and split in two as soon as the needle goes under to bring up the thread from the bobbin underneath, and it’ll continue to sew with proper stitches, except only with 1 of the strands of thread, leaving the other strand all bunched up on the upper part of the needle above the needle’s eye. What part should I replace? Should it be the bobbin case? I checked my bobbin case 52237, it seems to look OK. What other parts could be the culprit that I should look for? Please advise. Thanks in advance.